The Officers Mess is a fabulous new function venue in Auckland, situated at 170 Vauxhall Road, Devonport on the clifftop at Narrow Neck Beach. Jeremy Schmid resident chef is co-director with Fiona Bias. 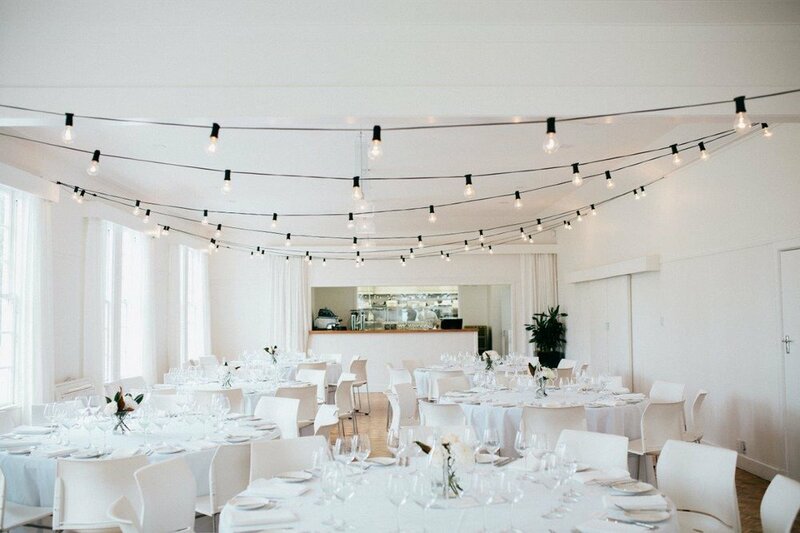 We have the perfect location and private function venue to cater for all your special occasions in Auckland. The spectacular sea views across to Rangitoto provide the perfect backdrop for you and your guests to capture those special moments. We are suitable for private functions, special events, anniversary parties, conferences and corporate meetings, weddings and wedding receptions, Christmas parties and more. The surrounding reserve can be utilized with DOC consent Click for information from the Department of Conservation. The Officers Mess is situated on a historical site. The structures situated on this site form a unique historic complex containing elements from all periods of coastal defence in New Zealand. The Officers Mess building has a long history of providing dining facilities for NZ Army and Navy and is part of the Fort Takapuna Historic Reserve and is registered as a Category I Historic Place. It has been our privilege to bring the Officers Mess back to life and help secure the long-term preservation of a unique piece of the North Shore’s history. To find out more about our function rooms in Auckland contact us today. Our small function venue is just perfect for your special celebrations and events.